40 Years Of Mondays: An Addiction To A Band : A Blog Supreme In Boston, three professors and musical virtuosos meet weekly to give concerts of free improvisation — and have for four decades. One fan tells us about how she saw The Fringe so many times, the manager of the club finally offered her a job tending bar. 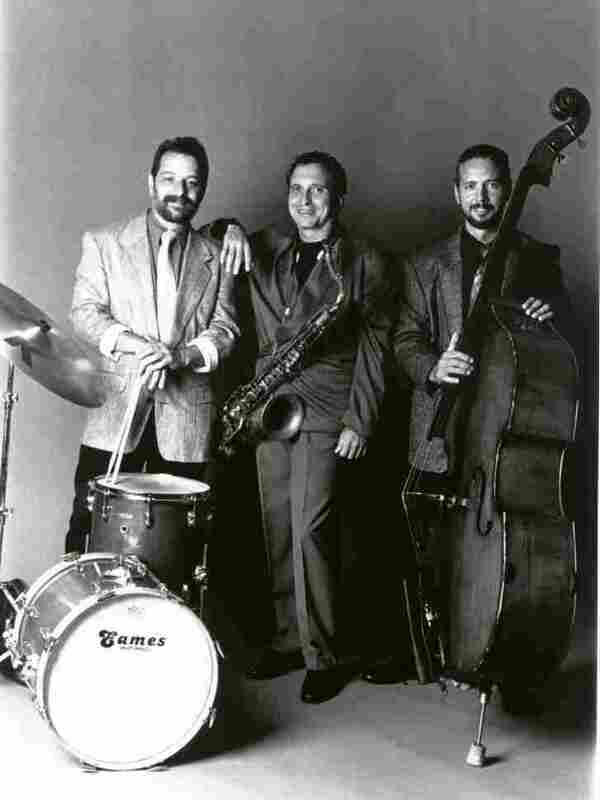 The Fringe is Bob Gullotti, drums; John Lockwood, bass; and George Garzone, saxophone. I was an 18-year-old saxophone student at Berklee College of Music when my new best friend, a trumpeter named Willy Olenick, told me about The Fringe. "You've got to hear this band," he said. "They're an amazing trio. You can hear them any Monday night at Michael's and you're nuts not to go." Willy didn't mention anything about what style they played, and I didn't ask. I just took his advice and went. Michael's was a small, narrow bar behind Symphony Hall in Boston. There was a WPA mural on the wall. They only served beer and wine, and let's just say a contingent of a few regulars might have been there just for the Rolling Rocks. (In fact, they may have been there all day for the Rolling Rocks.) A man named Bill was at the front door at night, collecting the $2 cover charge. Michael himself manned the bar. Frankly, on first hearing The Fringe, I wasn't sure what was happening. The trio took the stage, and I don't think I was even sure when the set started. At some point, I realized that this music was not like the other jazz I had heard. Until that time, my jazz listening had been mostly big bands and straight-ahead, swinging jazz groups. I'd never really heard so-called avant-garde music before, but I stayed for the set, trying to make sense of the sounds. I remember thinking, "I've got to check this out more. There's something here and I don't understand it." I didn't know why, but I found myself looking forward to the next Monday. And then the next Monday, and the next. After about a year of Mondays, Michael spoke to me: "You're here every week — why don't you be the bartender?" I thought for two seconds and said, "Sure." An old publicity photo of The Fringe. Left to right: Gullotti, Garzone, Lockwood. 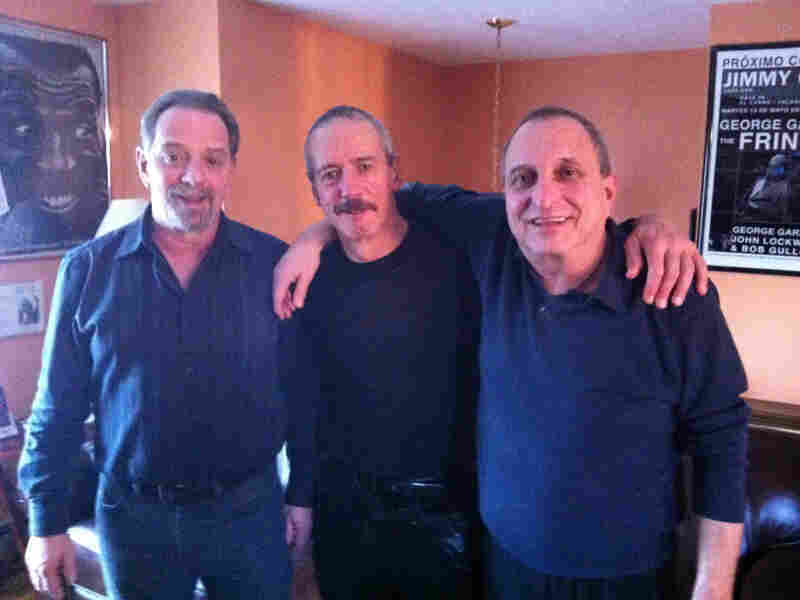 The Fringe is the trio of virtuosos George Garzone (saxophone), Bob Gullotti (drums) and John Lockwood (bass). All three members teach at Berklee College of Music, but they also meet on Mondays to improvise freely together. The Fringe has met on Mondays for 40 years now; that's four decades, two score. For three of those years, I heard the band play every week. As my musical sensibility was taking on a new dimension, the band became akin to an addiction. No matter what was going on in my life, from college-student drama to bigger issues like my father's death during freshman year, I found myself counting down the time to Monday night. Many times, I've likened it to therapy. No matter what's going on in my life, I leave a Fringe gig and know that everything is going to be all right. I was delighted recently when drummer Bob Gullotti told me the same thing, in an interview with the band I conducted for DownBeat. A student of master percussionist Alan Dawson, Gullotti lays down intricate webs of rhythmic foundation under the band in a demonstration of true effortless mastery. His steady thunder is a driving force in the music, but it isn't overbearing. There was a period when he brought a huge gong every week and wrenched bowing sounds from it. Tenor saxophonist George Garzone grew up in a family band and has the most remarkable sense of melody you'll ever hear in free jazz, coupled with a harmonic depth few have achieved. (Cosmically apropos, he shares a birthday with John Coltrane.) Bassist John Lockwood is at his best when his feet are to the fire and he has to invent a new path through the music. The Fringe in early 2012. Left to right: Gullotti, Lockwood, Garzone. Eventually, Michael's closed, and The Fringe moved on to The Willow in Somerville for the next 17 years. By that time, I was on the road with a rock band six nights a week, but any Monday I was home, I was at The Willow. Over the years, I've seen many wonderful players sit in with the band, notably saxophonist Joe Lovano, pianist Kenny Werner and bassist Scott Lee. I always thought that these three world-class musicians were the only ones who could keep up with The Fringe. Usually, if someone sat in with them, it just slowed the band down — or, worse yet, got in their way. I suppose this makes me a bit of a "Fringe purist," although I recently heard Lovano sit in (all these years later) and it was still delightful. Joe is tuned in to the band's wavelength. 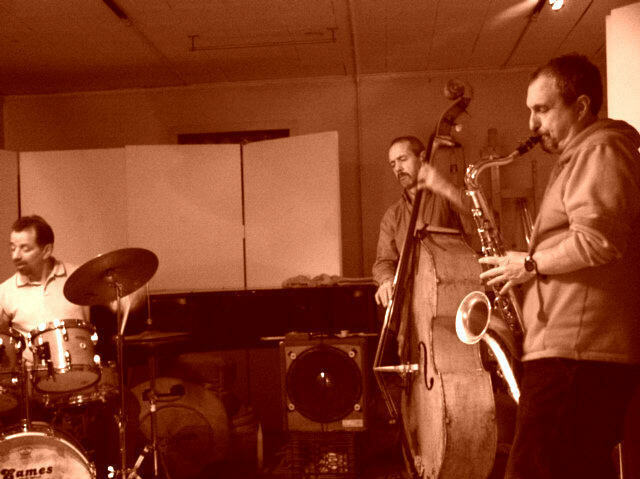 Saxophonist Jerry Bergonzi's quintet shares Mondays with The Fringe at The Lily Pad in Cambridge now. He and Garzone have a great mutual admiration, and I'm told Jerry sits in with them sometimes. I can't wait to hear this. I've lived in New York since 1985, but I still try to see The Fringe when I can — I've made the journey twice in the last two months. Really, I've gone to hear The Fringe every chance I've had since 1976, and I expect I'll continue doing so as long as I'm physically able. In fact, I expect that when my time on earth comes to a close, my personal soundtrack will be the music of The Fringe. But I have no plans to leave this planet now. The Fringe's 40th-anniversary concert is this weekend, and I'm driving a contingent of New Yorkers up to see it.